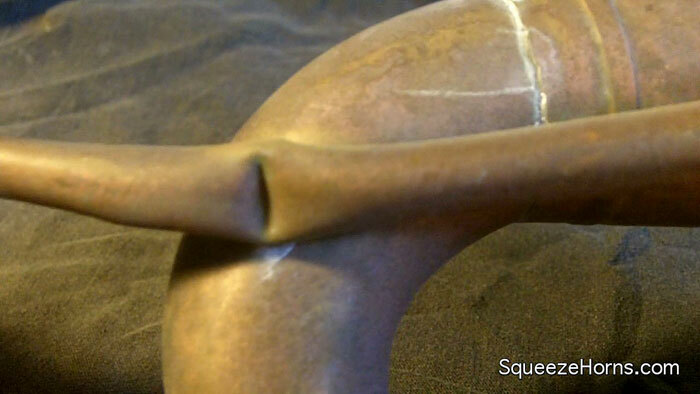 Partly as an experiment I’ve left one of my squeeze horns on my bike for over a year. We don’t get snow here, but some rain, lots of fog, and salt air have taken their toll. You’ll also notice numerous dings and a massive dent from an accident that bent the horn in half. Fortunately it bent right back without breaking. Before. 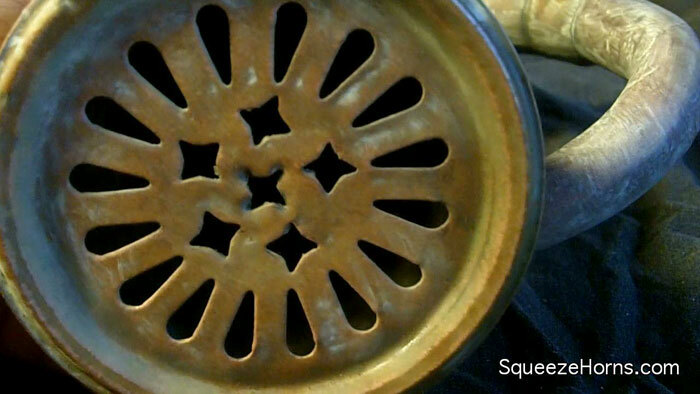 This is the 16" Covered Bell horn. Shake well. 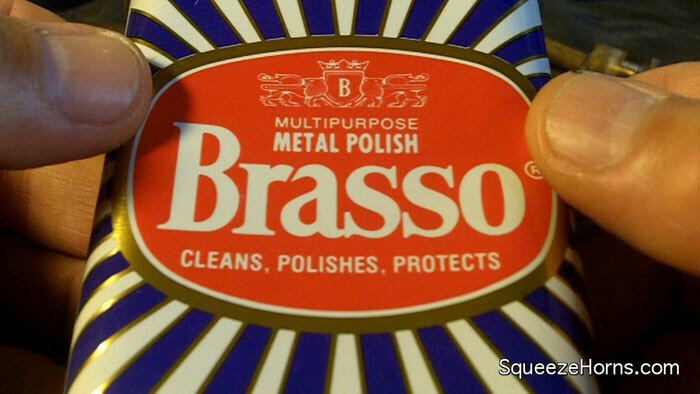 Apply a small quantity of Brasso with a clean soft cloth rubbing lightly to loosen badly discolored areas. 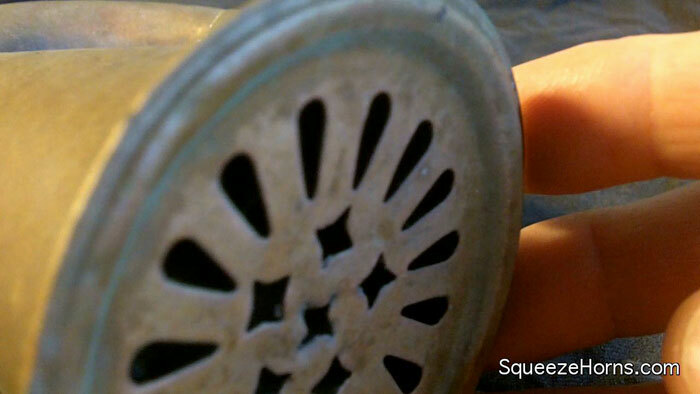 Let dry and then polish with a dry cloth. 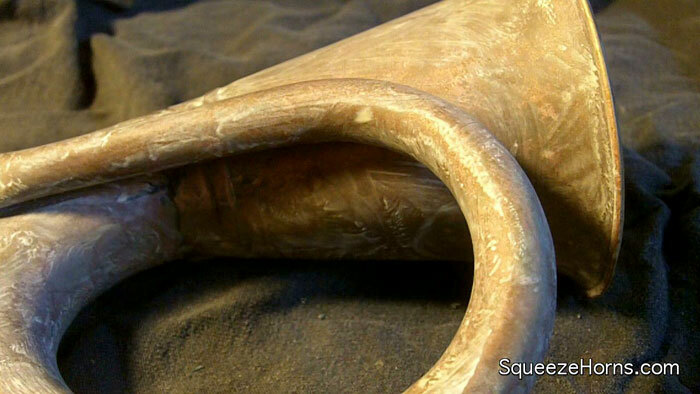 Here the Brasso is drying on the horn. 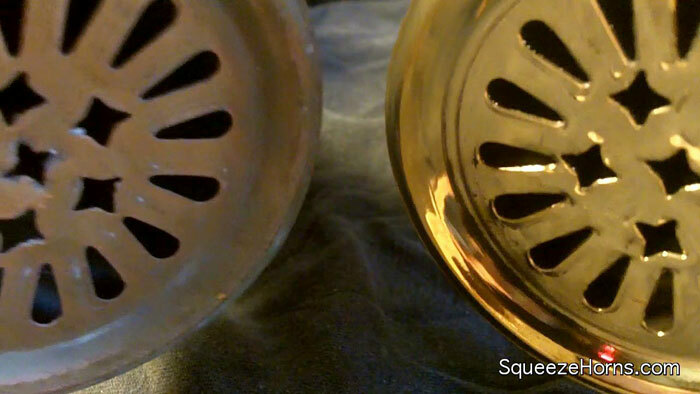 Comparing polished horn to new. The lesson here is simple. 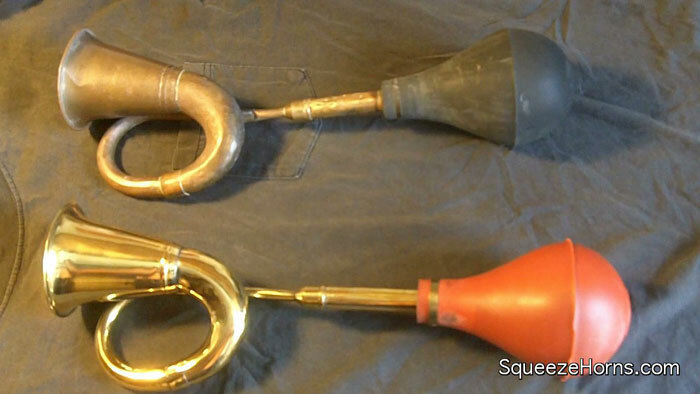 If you want to keep your squeeze horn shiny, you’ll have to keep it indoors. 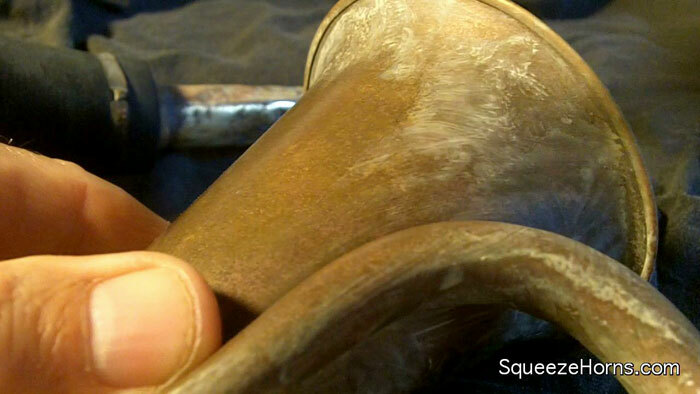 On the other hand, a year of outdoor use, a little polish, and my squeeze horn looks like an antique and is working just fine. ← Reader KP Sends Some Great Pics of a Very Large Horn!